Britten Sinfonia’s 2018-19 season as Associate Ensemble at the Barbican offers an outstanding line-up of guest musicians, conductors and composers, with concerts that draw intriguing lines between a wide array of music from across four centuries. Two major Symphony Cycles provide the backbone to the season. Britten Sinfonia and Sir Mark Elder’s four-year Brahms Symphony Cycle, which opened to widespread acclaim in 2017, offers a more intimate reading of Brahms’s symphonic work, in the spirit of how Brahms intended the works to be heard. The focus in 2019 is on Brahms’s Second Symphony. Tracing a line from Romanticism to 20th century evocations of poetry, love and nature, the symphony is performed alongside Delius’s rarely heard North Country Sketches, and Mahler’s Lieder eines fahrenden Gesellen (Barbican Hall, 17 Jan 2019). Thomas Adès and Britten Sinfonia’s Beethoven Symphony Cycle reaches its conclusion in 2019 with Symphonies 7, 8 and 9. The symphonies are juxtaposed with works by Irish composer – and Beethoven devotee – Gerald Barry. 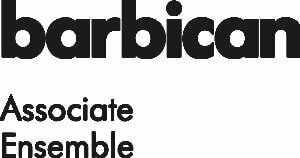 Barry’s The Eternal Recurrence (a setting of Nietzsche for voice and orchestra) and Dead March (where melodies behave “as if everything is possible”) are the featured works in 2019 (Barbican Hall, 21 & 26 May 2019). Online public booking opens at 10am on Friday 2 February 2018 and for telephone and in person bookings at 10am on Wednesday 21 February 2018.